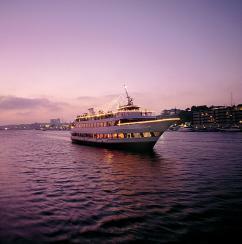 When it comes to things to do in LA, nothing makes waves quite like Los Angeles Scenic Cruises! Whether you're in the City of Angels for a visit or call it home, experiencing the Pacific waterfront is guaranteed to be unforgettable. And with hot spots like Marina del Rey and Newport Beach easily accessible, cruises from Los Angeles are easy to come by. Add a new twist to traditional wining and dining — and take it to the water, complete with a splash of sightseeing! Depart from a beautiful port to embark on an exquisite dinner in LA that's unlike any you'd find in the immediate city limits. 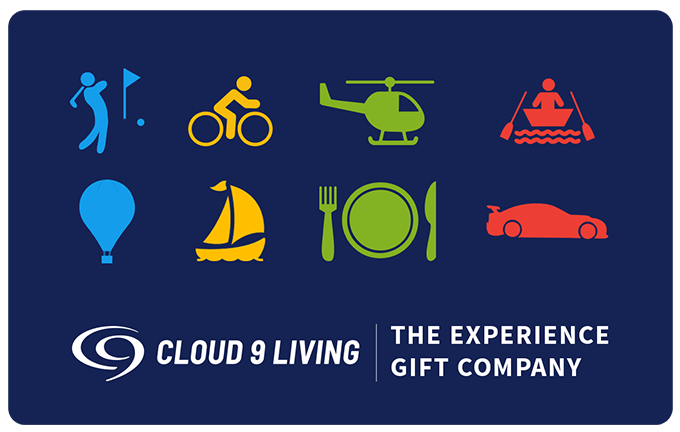 Glide across tranquil Pacific waters on a luxurious yacht, designed specifically with Newport Beach and Marina del Rey dinner cruises in mind. Delight in an evening of fine food, DJ entertainment, and dancing. Prepare to see some of California's most stunning scenery, far from the typical sightseeing in LA. Marvel at the shimmer of the setting sun across the horizon, the endless beaches, serene harbors with bobbing boats, waterfront mansions, and possibly even some wildlife! Sip cocktails from the cash bar, relax on the outdoor decks, and enjoy a magical evening under the stars. 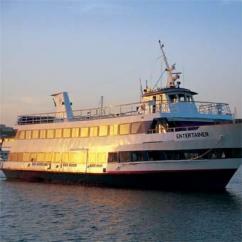 And for those who perhaps prefer breakfast and lunch fair, coupled with soaking up sunshine — check out the Champagne Brunch Cruise. With free-flowing bubbly, and 360-degree views that take the breath away, no Los Angeles Scenic Cruise offers a better way to spend a Sunday with family or friends, as you venture along the shorelines of Marina del Rey or Newport Beach. Maybe you want to take to the Pacific waters on a mission to see marine life? 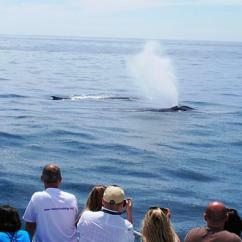 Whale watching in Newport Beach is your ticket to be absolutely wowed! Set sail with a captain and crew members who have extensive knowledge about ecosystems, H2O environments, and the fascinating marine creatures that inhabit them. Enjoy a morning or afternoon full of educational enlightenment, and keep your eyes peeled for sights that blow LA attractions out of the water — literally! Wildlife sightings vary from cruise to cruise, but may include: giant blue whale, finback whale, grey whale, minke whale, humpback whale, dolphins, seals, and more! Looking for a little less wildlife and a bit more romance in your Los Angeles Scenic Cruise options? 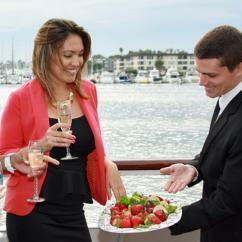 Make your way to the Newport Beach harbor to do a date night differently. Sweep a special someone off their feet with a private ride on a cozy boat. Try a gondola ride for lunch, dinner or just dessert! A personable gondolier guides you along the water while you eat, drink, swoon, and make merry on an unforgettable outing.